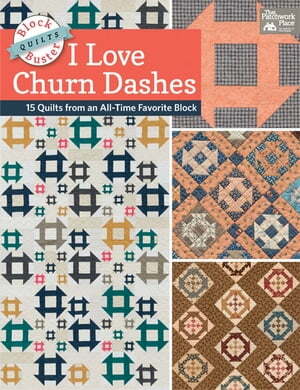 Collins Booksellers - Block-Buster Quilts - I Love Churn Dashes by Karen M. Burns, 9781604688061. Buy this book online. Introducing the classic Churn Dash block--like you've never seen it before! Whether you love scrappy, traditional, or modern blocks, you'll find a colorful Churn Dash that's perfect for your next quilt project.